Happy Friday! Woo hoo, we're off to visit my cousins for our annual cousins party! Okay so it's the second annual cousin Christmas, but like Mr. says, after two years it's a tradition, so we're onto a tradition here! Last year it took us a little over 3 hours to get there...when it should have taken 1.5 hours. So this year, we're spending the night the night before so that getting there is not a problem! Okay onto my Friday favorites. 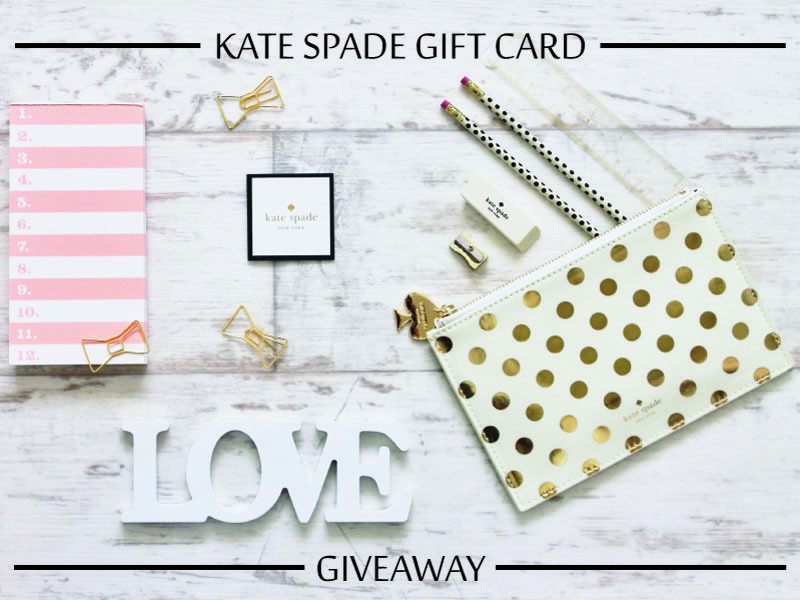 A bonus post, I'm doing a giveaway for $125 to Kate Spade, don't forget to enter. If you're already following me on social media, it's a free entry, so get to it and enter! I finally got to volunteer in Baby Fox's class, I surprised him this morning with it. He was super excited, even though he acted like a cool cucumber when I actually got there, it was cute. I just love his teacher she is the best. It was holiday party time, so they got to do a whole bunch of yummy snack crafts. Which of course Baby Fox ate every single thing. So happy that I could surprise him, hopefully I can do it again soon! Last weekend was a blast. We started out on Friday with some Christmas light looking, we made some hot chocolate and got in the car. We were actually heading this this neighborhood, it's pretty cool it's a culdesak so it was low traffic. As we were leaving we saw this sign, and I said, hey lets follow this bus, they know where all the good spots are...in theory it was a good idea, in reality it went back to home base...aw well, next time. Then we hit up the fancy area in town...You can't tell but Santa is in the window. Then Saturday we hit up LEGOLAND, so much fun. It's almost Christmas, so I thought I would share two friends who just opened their own online store. One of them is just starting out, like 3rd week open type of thing, but I think what she has is so unique. 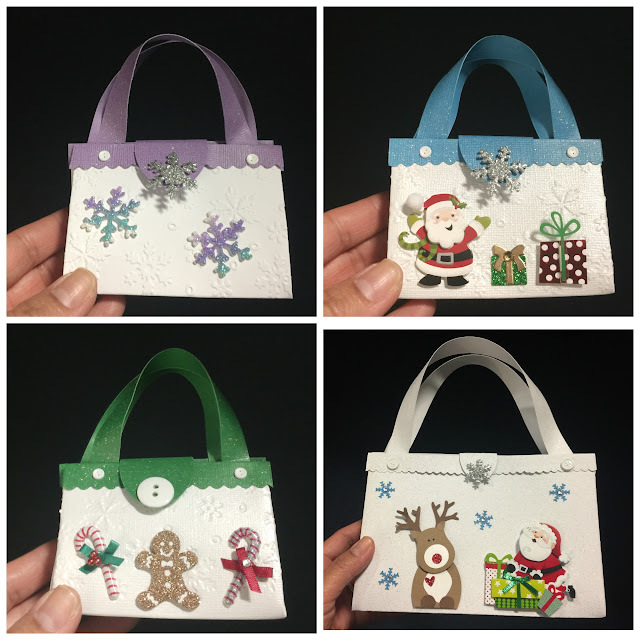 Instead of having to give friends or family the boring gift card hold that you get from the store, why not get a cute little purse to put it in? The bottom right is 8.5 inches wide, while the other one is about 3 inches wide, you can tell how big it is in my hand. Here what it looks like with a card inside the little one. How cute is that? You can go to her Esty store, although it doesn't have much on it yet, she's still working on it, but you can email her at CSMDesignStudio@gmail.com for pictures of her designs. The other shop, is one that I am completely obsessed with, she makes the most beautiful jewelry! She calls her shop BEXO: Be XtraOrdinary. She has free shipping right now until the new year, take advantage! First these got with everything, and just ad that touch of sophistication. Second, holy batman I wear a lot of strips! Seriously this was not planned...I just happen to wear these things and take a picture, I might have a problem. Help me! So you know my obsession with Kylie Lip Kits, well I had a video I wanted to put out with it, but, that didn't happen, so I'm sharing it now with you :) Enjoy my geeky self.